Arianna Huffington: How To De-Stress With The GPS For The Soul Mobile App (VIDEO). Here is a very nice App to have on hand when you need help calming down, need to take a break, bored with life, need motivation, find yourself lonely…..and you can add more scenario to this list….but instead of making a list, go to the App Store and download it! It’s Free! It can be customized and link to other of your favorite things like your own pictures and music. You may share it with your friends or keep it private. I give it all thumbs and toes up! Thanks to the Isha Foundation USA for creating such a wonderful environment and World Peace Day Program. I had an opportunity to see, hear, learn, think and reflect on new and old ideas that resonate with qualities that are necessary to cultivate for weaving Peace into every moment, and yes that is definitely possible and not utopian. When at the App Store, look for GPS for the Soul. 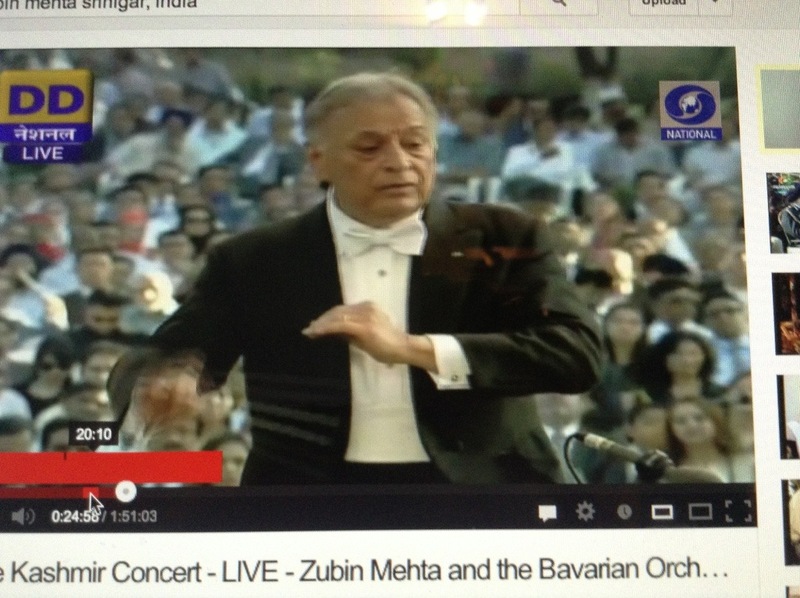 ▶ The Kashmir Concert – LIVE – Zubin Mehta and the Bavarian Orchestra – YouTube. 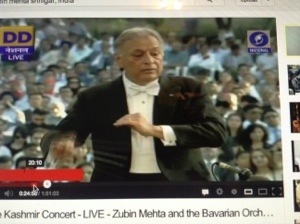 Thanks to YouTube we can watch this historic concert from our armchair. Click the text link and Enjoy!